Last week, a new player entered the Offline to Online (O2O) field, introducing a whole new standard and claiming to be a ‘better QR Code.’ These guys correctly identified one of the problems that black & white QR codes have – they’re meaningless to people and readable only by machines, so people don’t know what’s going to happen when they scan them. The solution by the new kid on the block was simple – they put above their code an icon representing the activity (e.g. Facebook logo, video icon, etc. ), and a text telling the user what to do, e.g. “Scan to watch a Video”. Essentially, a good move. Problem solved. The one thing to remember, however, is that anyone can quickly do the same with QR Codes, and even do much better, as explained below. What this kind of solution actually says is that marketers are sloppy and aren’t using QR Codes in the right way. Scott Stratten, writer of “QR Codes Kill Kittens,” referred to all kinds of ways in which marketers create ineffective campaigns. If marketers just added a Facebook icon next to, or inside, the QR Code, and added the text “Scan to follow us on Facebook” next to the QR code, their customers would understand for sure what’s going to happen if they scan the code, and that alone might increase conversion. The new guys seem to be very excited about all the things their new standard can do, e.g. link to a website (! ), a YouTube video (! ),a Wi-Fi network. They just forget to mention that QR Codes can do all that and more. 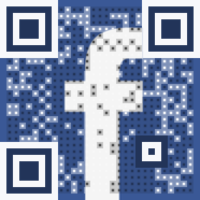 Could the QR Code make you Follow someone on Facebook? Yes. Tweet? Yep. Make a phone call? Of course. Send a text message? Duh. Download an App? Yeah, that too?!! Wow, these QR Codes are just awesome. The problem with new standards is that you have to download a very specific, bespoke application to be able to scan the codes. This is the only way it will work. As a brand, you’d need to tell people what application to scan it with, which adds yet another explanation to the code. This new app might want to get to know its users really well by getting access to their identity, contacts, calendar appointments, location, phone, photos, camera, and microphone. Consumers don’t necessarily want to give all this information to an unknown app just because they scanned a code on the street. Visiting a website or watching a single video usually isn’t worth giving away your privacy. Using a well-known standard is much easier for a brand and for consumers. When you use QR Codes, you can use any one of the apps that include a QR Code reader, like Apple Passbook, Google Goggles, Line, WeChat, Barcode Scanner or others. Over 1 billion such apps are already installed on people’s phones today. For QR Codes, 70% of people worldwide see these square, functional creatures and simply know “I need to use my mobile phone to scan this code.” This customer education is extremely valuable to marketers. It took a strong computer-vision standard and patent by Denso Wave which was released for free into the world for others to use. It took millions of dollars in customer education by leading brands around the world (e.g. NTT Docomo in Japan and WeChat in China, two markets in which QR Codes are very popular). It took over a decade of usage and promotions by millions of brands worldwide who use QR Codes for marketing, logistics, connectivity, anti-counterfeit, and other use cases. 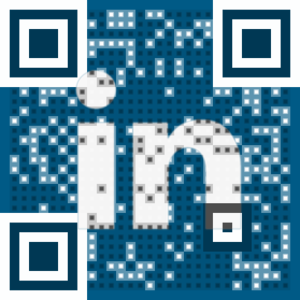 And it took hundreds of millions of consumers who got to know QR Codes and began to use them. QR Codes now control around 80% of the Offline-to-Online (O2O) market. Other triggers like Near Field Communication (NFC), Microsoft Tag, and others, don’t even come close. NFC is a worthy runner-up; after years of loneliness and boredom despite extensive push by Google, Samsung, Nokia and others — the NFC adoption rites have started to rise following the standard’s recent support by the world’s largest market-maker, Apple, in its Apple Pay solution. Still, the NFC standard has a very long way to go until it becomes a widely known standard, and in comparison to QR Codes, it’s also far more expensive and limited by physical distance. 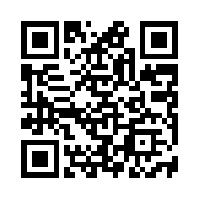 QR Codes are mostly free and can be scanned from any distance, subject to proper planning. Black & white QR Codes have their problems, that’s for sure. They’re ugly. They’re meaningless. They’re pushed to the corner of ads and therefore go unnoticed. They’re occasionally misused. And worst of all, sometime you scan them and get nothing in return – no additional information, no discount, no nothing. Giving the customer no incentive to scan is probably the worst crime in the bible of O2O marketing. Marketers can quickly do better without going through the effort of educating their customers about a new standard from scratch, and without requiring their customers to download a bespoke app and surrender their privacy. And as for QR Codes, there are some innovative solutions out there which overcome the past problems, giving marketers effective tools and creative freedom while leveraging the immense power and market education of the QR Code standard. Oded Israeli is VP Marketing at Visualead, an award-winning O2O startup and the inventor of the VIsual QR Code technology. Prior to Visualead, Oded led product management and marketing for Digital Commerce and Mobile Payments at Amdocs, practiced law as a high-tech attorney, founded a web design company, and advised Fortune 500 companies as a management consultant for the Boston Consulting Group. Oded holds an LL.M. from Tel Aviv University and an MBA from INSEAD business school in France and Singapore.